“Science is all about storytelling. From forming hypotheses to analyzing results we are examining how things fit together to tell a story about our world. Scientists require the precision and accuracy of jargon and mathematics to communicate to each other. 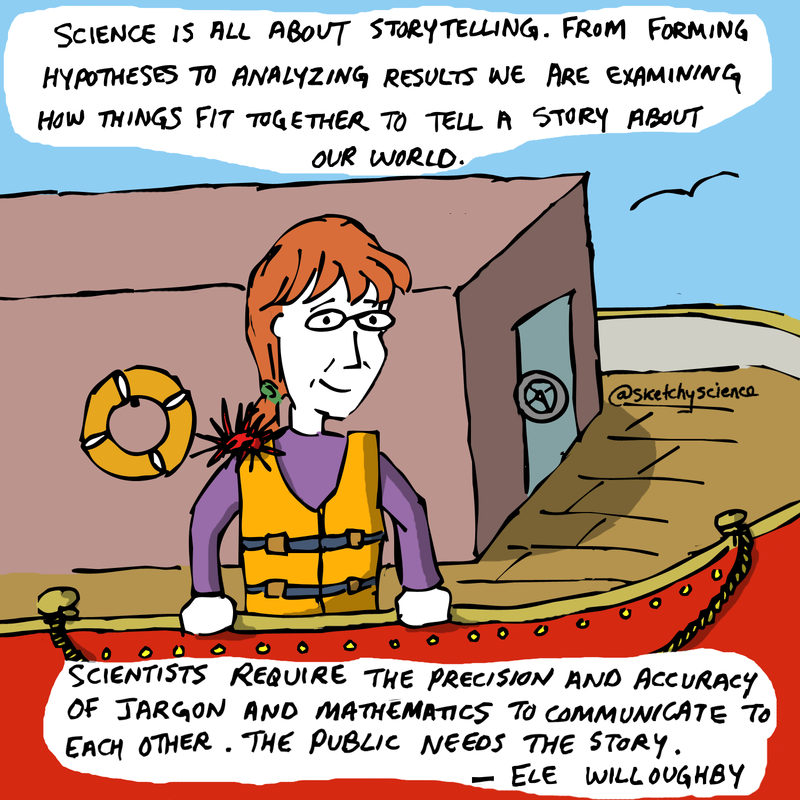 The public needs the story.” – Ele Willoughby, artist and marine geophysicist. Originally posted on September 23, 2016.